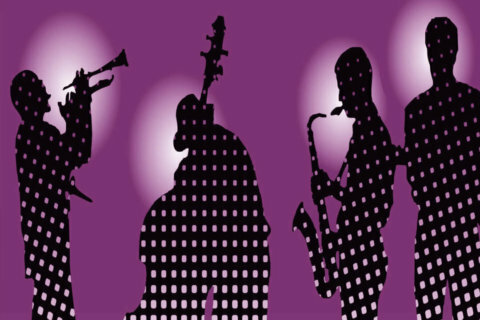 A superb evenings entertainment with a variation from the style we usually present at Pershore Jazz Club was well received by the audience and I feel that some were pleasantly surprised by what they heard. The trio’s visit was part of a 56-day tour around the UK and I am so pleased that we were able to witness the great musicianship from all three of them. It was excellent and we listened to some great tunes, Back to Back, Lover Man, Sweet Georgie, Hit the Road, Detour Ahead, All In, Who Can I Turn To, Up Jumped Spring, It Ain’t Necessarily So, Dreamsville and Blue Genes which is the first track on their latest CD called Heads & Tales Volume 2. I am so glad that we introduced a different genre to our audience and thank Nigel, Ross & Matt for such a great evening.